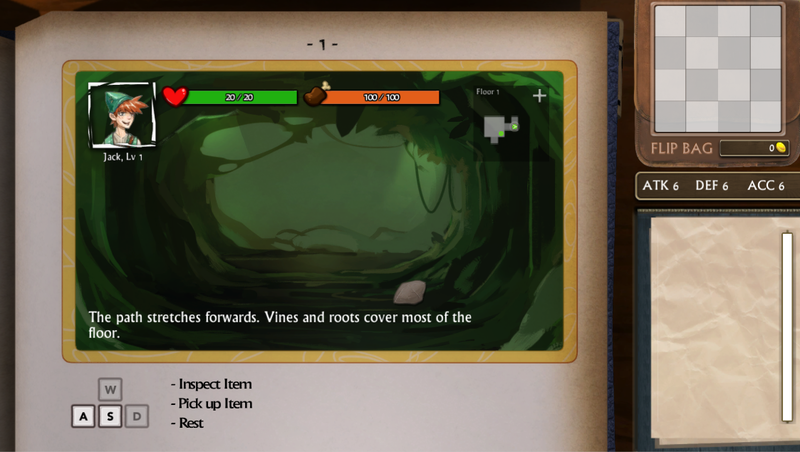 Jack be nimble, Jack be quick... Once Upon a Beanstalk aims to give a spin on things in a retro feel dungeon crawler come roguelike come adventure novel. 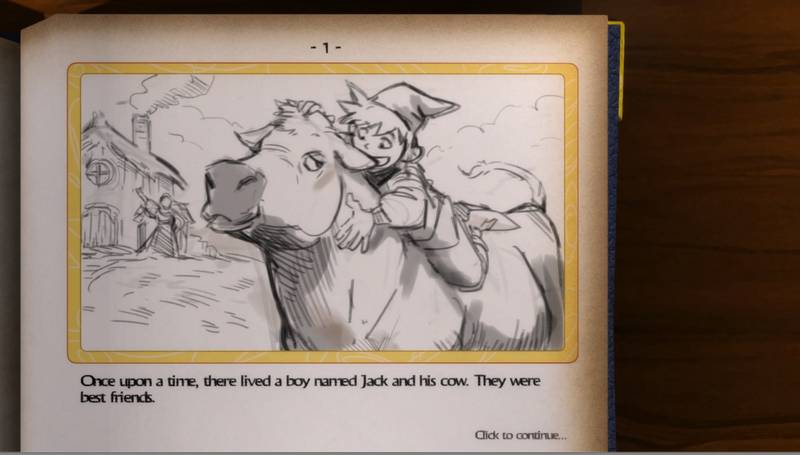 A tale of a boy and his cow and growing up. (Quite literally). We all know the story of Jack and the Beanstalk, of how he traded his precious cow for beans which ultimately unleashed a beanstalk and a giant upon his homeland. 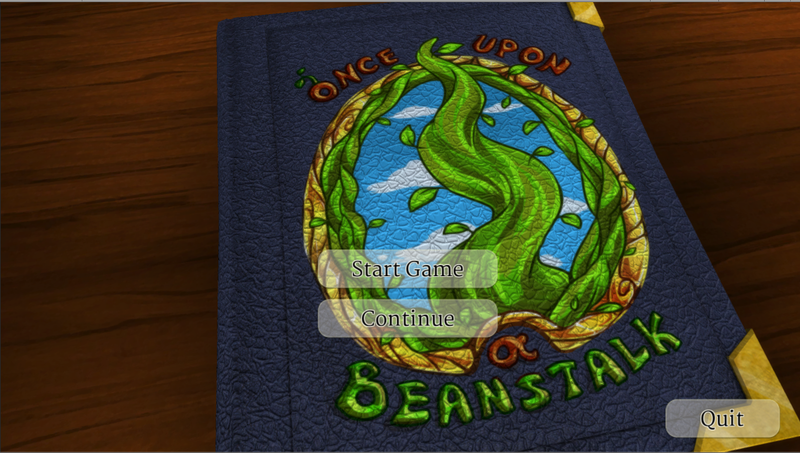 Jack's story will narrate itself as he traverses through the beanstalk. Everything is out to get Jack. We hope you enjoy the game despite not being able to include everything that we originally planned for this submission. (We will however implement more at a later date, Jack's story isn't over yet). Be aware that for each time Jack fails/leaves the beanstalk, he will return to level 1. (In every sense of the word.) As for why, eh, it's a magic beanstalk, it does... things. 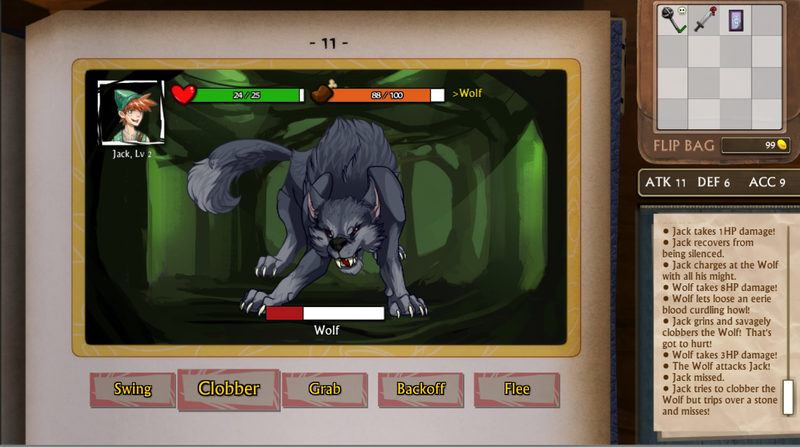 -Items matter to Jack's survival, plan their usage wisely! 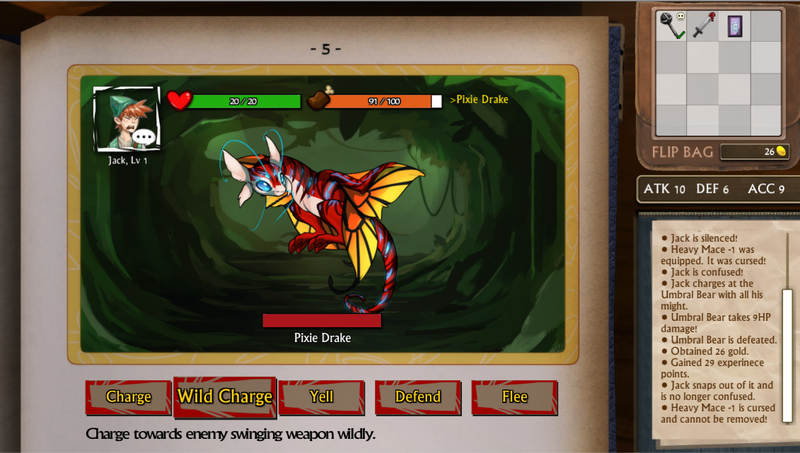 -Each weapon type (including bare hands) has a different skillset. Depending on what creature you're facing up against, these matter. 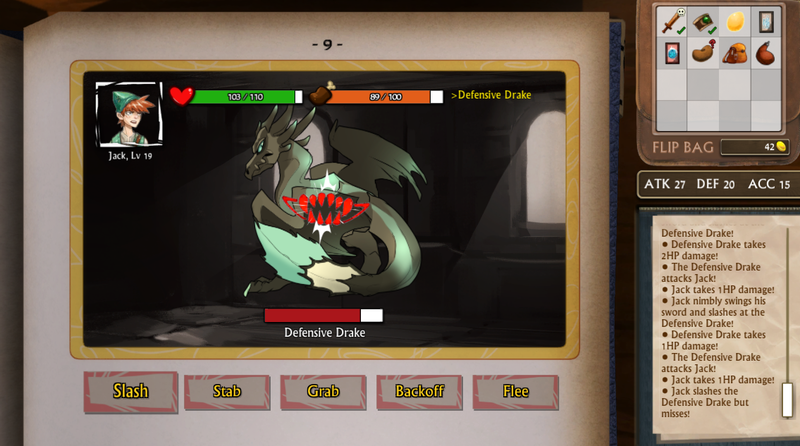 Spamming the default attack without mixing up your skills is likely to end in failure (unless you're waay over leveled). -Taking a pointy sword and trying to stab at a creature with a thick hide is going to be less effective than using a club to simply BASH IT TO BITS. 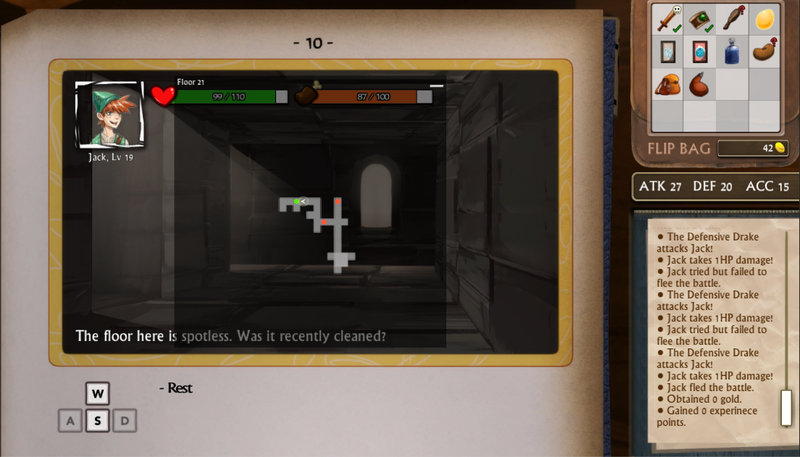 -Hovering over door/tunnel selections will enable you to see the way you're headed via the minimap. 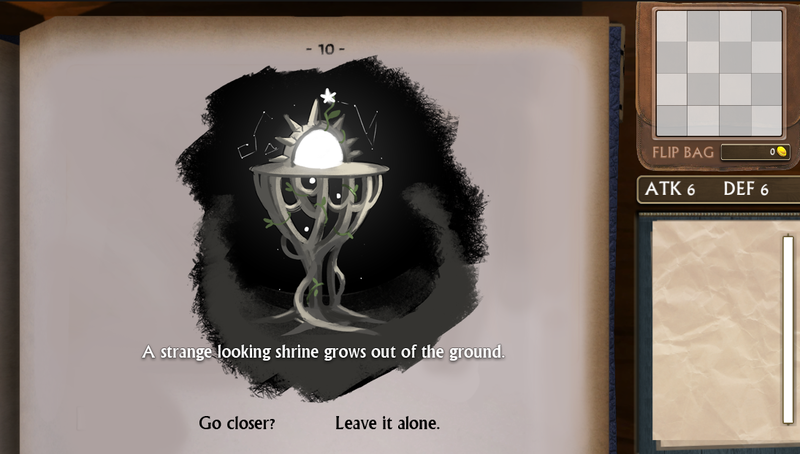 To embrace the growth theme, we had originally intended for everything in the game to grow. 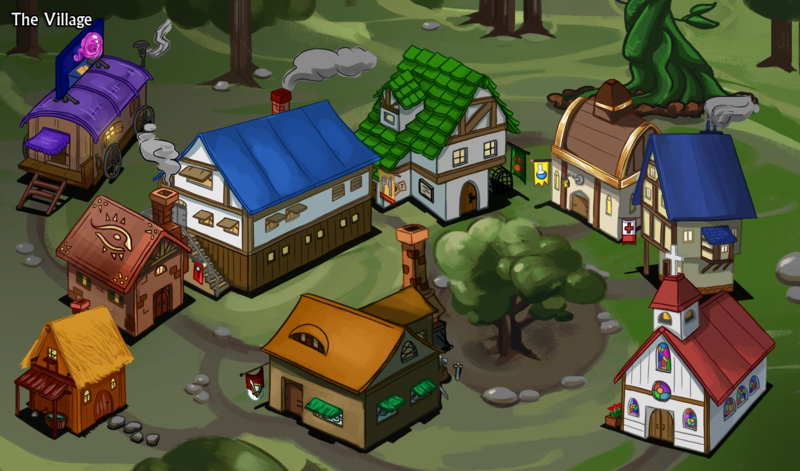 We wanted to let Jack help build up and establish his village by helping the towns people and helping to build new buildings to invite new tenants using the treasure he gains from the beanstalk. 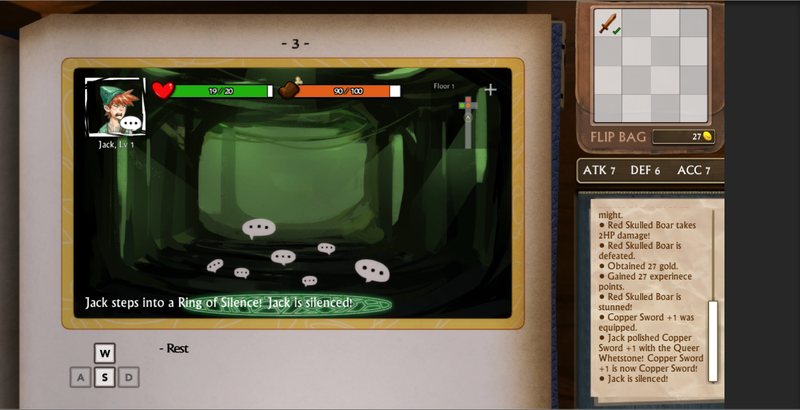 The idea was with new tenants, new features would be unlocked for Jack to help with his adventure. But, for each year that passes and Jack grows, so does the beanstalk, making it harder to reach the top with each time he attempts a climb. Depending on whether he helps the village, finds the goose, how old he is at the time, will affect the outcome of his Ending. 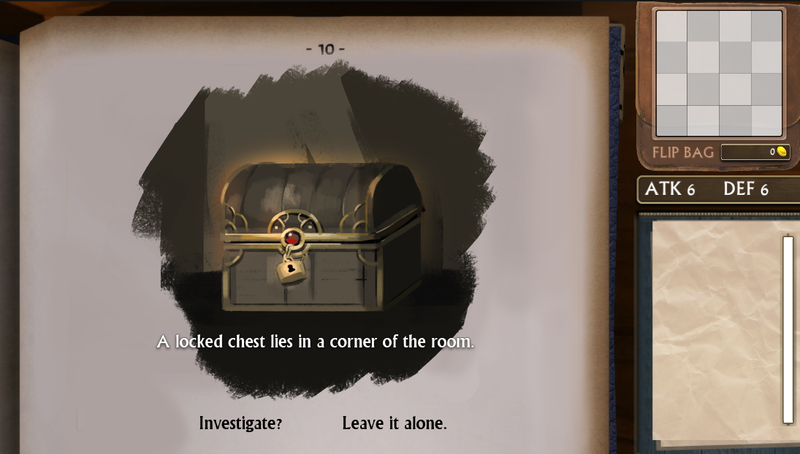 We also intended for random encounters/events to happen during your exploration, but there was not enough time to implement, so this will come at a later date in a later version of the game. Thank you for reading and we hope you enjoy the game. Question: How many stones did your Jack pick up?